Retail and industrial product design, industrial recycling equipment, earth stewardship process, product prototyping, manufacturing equipment, packaging, point of purchase design, marketing plans, graphics, social media, project planning, business plans and finance. Following are two descriptions of the product design process. The first is big picture view, the second group is a detailed view of the design process. All projects are given a custom mix of service(s) to fulfill the clients need. Sign off must take place on each step to assure the highest design and service quality. 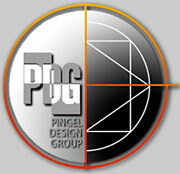 All design rights and patent rights are property of Pingel Design Group Inc. The review of these documents does not constitute a public display and is considered secret, not for public review. No copies or distribution of this document is allowed. There is not implied use of the desing to anyone other than its owner Pingel Design Group Inc. The information contained on this page is privileged and confidential and thus is protected from disclosure. This information is NOT intended for transmission to, or receipt by, anyone other than a person authorized to review this document. You are hereby notified that any dissemination, distribution or copying of this communication is strictly prohibited. Assumption: Each component will represent a module of the audit and would carry its own cost component.The customer can select components and we can recommend what we see as the needs, based on our interaction with them. What types of information must be maintained, and for what purpose is it used? Is the system centralized, or is information maintained is separate modules? What is the degree of repetition and duplication of information managed within the system? How accurate is the information perceived to be by key users, and how accurate is the actual information? What is the perception gap? How accessible is the general deployment of the information perceived to be from the user perspective? What software is deployed in the current information management system? What is the configuration of the hardware system? How do these systems function in terms of input, output, and functionality of use? How functional and intuitive is the user interface? What software is deployed in the current accounting management system? What is the hardware and software deployment? How well do the systems function in terms of input, output, and ease of use? Applications in use system-wide, constancy across the computing system. Suitability and ease of use within the computing environment. Performance of applications in relationship to users’ computing needs, training programming, and skill sets. Assessment of overall hardware platform deployment. Audit of servers, workstations, and printers: inventory, value, and age of equipment, assessment of current components’ ability to support requirements. Evaluation of hubs, routers, bridges and firewalls for performance and suitability realized to system-related needs. Evaluation of Internet connectivity and data stream rates. Evaluation of hardware and software components for Internet functionality. Applications, user-interface design, and information management modules deployed. Reliability, ease of use, training time line. maintenance, consulting expenses, and down time. Audit of server deployment: hardware and software components. Audit of Web site functionality: serving speed, interactive capability, reporting functions, ISP services. Evaluation of current and future development requirements for static, dynamic, and interactive Web serving requirements.